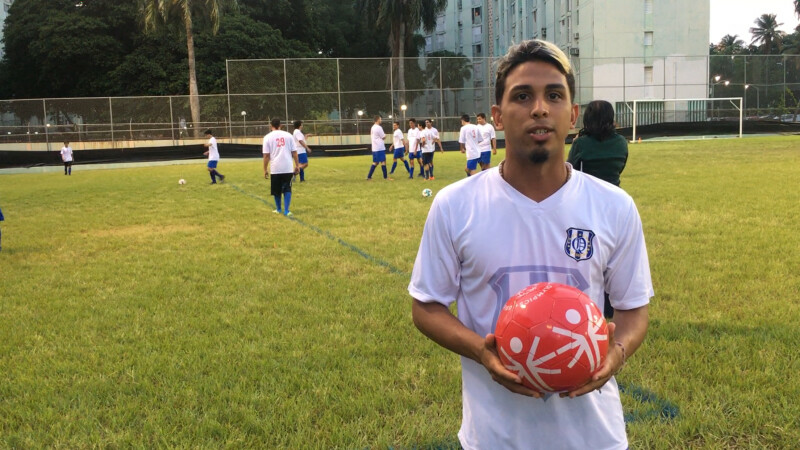 International soccer player Jackie Marrero, a member of the Puerto Rico Football Club and the Puerto Rico’s National Team, participated in a friendly match between Special Olympics and the Quintana Football Academy’s under-16 women team. The match was part of the Unified Sports activities to commemorate the Eunice Kennedy Shriver Day, who founded the Special Olympics movement nearly 50 years ago. Unified Sports unites people with and without intellectual disabilities in the same sports team. "I am truly grateful to everyone. I enjoyed the match to the fullest. Thank you for the opportunity," said Marrero.